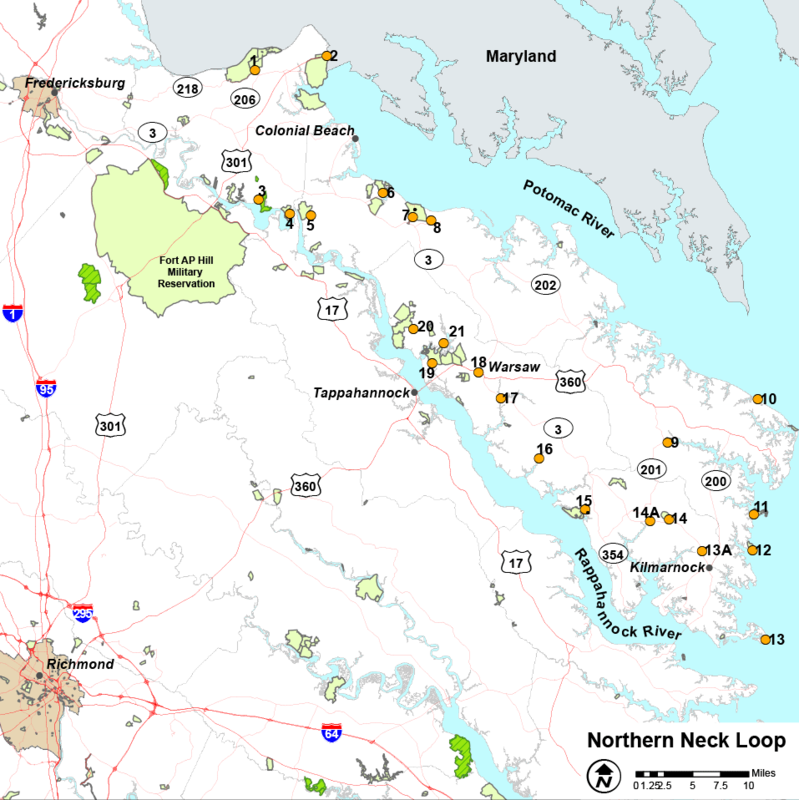 The Northern Neck Loop, which features a wide diversity of waterfront and forested sites, runs through the cradle of the nation’s birthplace. Visitors can view spectacular wildlife and scenery amidst the birthplaces of three of our nation’s first five Presidents: George Washington, James Madison, and James Monroe. The Northern Neck lies between the mighty Potomac and Rappahannock Rivers, which host some of the largest concentrations of bald eagles on the Eastern Seaboard. The loop extends to where these spectacular rivers meet the Chesapeake Bay, the richest estuary in the United States. Visitors will be rewarded with opportunities to experience songbirds, waterfowl, wading birds, bald eagles, stunning vistas, and breath-taking butterflies. The drive through the Northern Neck leaves one with the impression of traveling back in time, when life moved at a livable pace rather than a breakneck gallop.